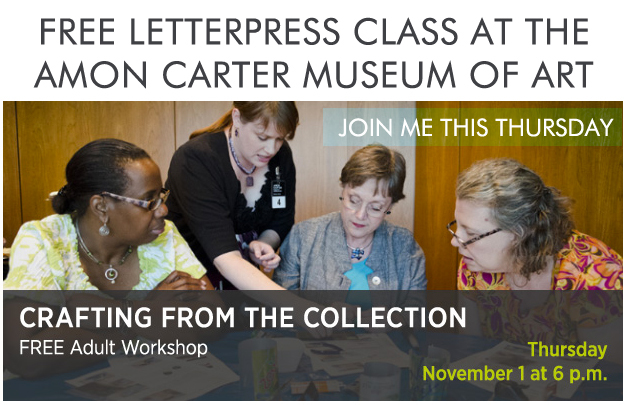 This Thursday, November 1, I will be conducting a free letterpress class/demonstration at the Amon Carter Museum of Art’s Crafting from the Collection series. It’s completely free, you’ll learn all about letterpress printing on a Kelsey 5 x 8 press, and you’ll get to print your own museum-inspired cards! I’d love to see y’all there. 6-8:00 pm.